Well, the big idea I had was already grabbed up midweek. That would be the mashup of Electronic Arts and Star Wars. So I've got to pull the ripcord on Plan B: People looking ridiculous while being guillotined in or riding a roller coaster with the Oculus Rift. The two exploitables I have to offer are framegrabs from those two videos. If you spot something better or derpier, by all means, go for it. If you know of another image with someone wearing an Oculus Rift headset that is more exploitable, that's fair game, too. The only guideline this week: Someone in the shot has to be wearing the Oculus Rift headset. 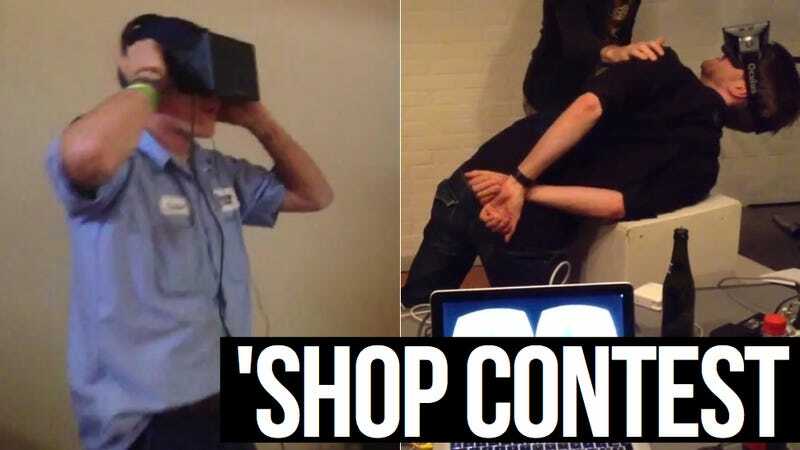 Source Image: Oculus Rift guillotine victim. 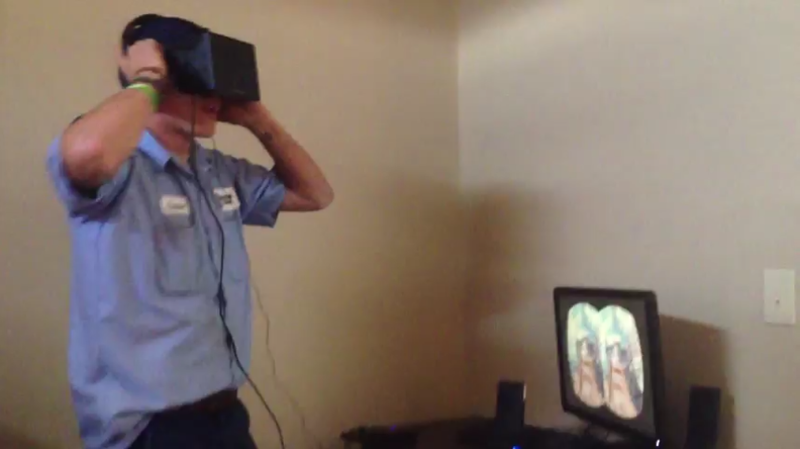 Source Image: Oculus Rift roller coaster victim.